Mission: Restore returned to Myanmar with one of our newest volunteer surgeons, Dr. Joyce Aycock from the University of Colorado at Denver. 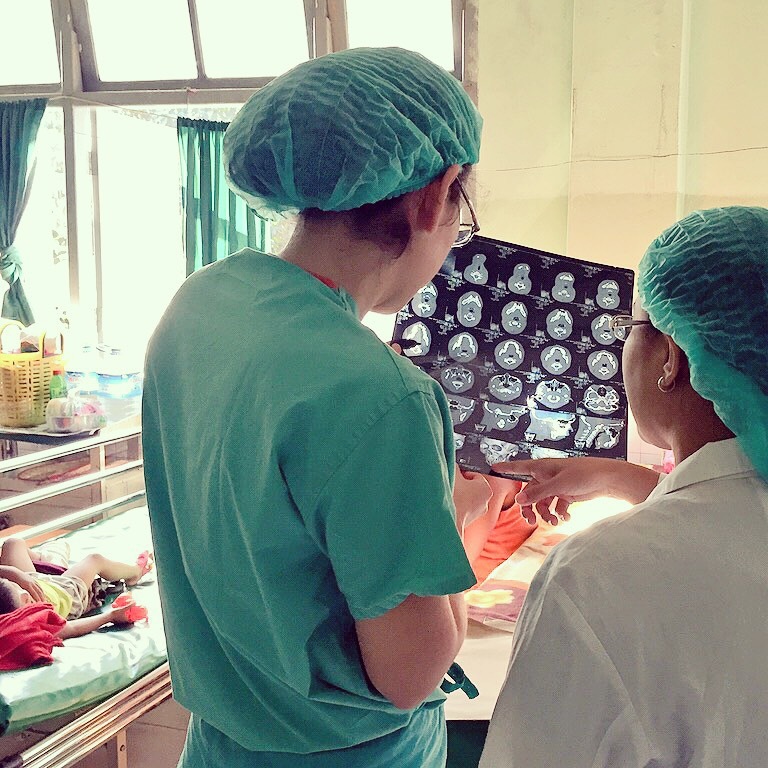 We spent one week with our partners at Yangon General Hospital, speaking with local surgeons, going on rounds and learning about local challenges doctors face every day. A vast majority of the cases we saw were facial fractures, caused primarily by road traffic accidents. According to the World Health Organization, 91% of the world’s fatalities on the roads occur in low-income and middle-income countries, like Myanmar, and half of those dying on roads are “vulnerable road users” including pedestrians, cyclists and motorcyclists. Dr. Moe Thuzar, the Chief of Surgery at Yangon General Hospital, and her team are incredibly dedicated. However, they represent the few plastic surgeons responsible for meeting the needs of a country of over 50 million people. Pictured here, Mission: Restore’s Dr. Joyce Aycock reviews an ex-ray during rounds with Dr. Mae Mee, a surgical resident in Yangon.